At the Davis United Methodist Church, we also answer a resounding “yes” to this question. We can come together in community while being different from one another in our understandings of God, our interpretations of scripture, and our answers to the Big Questions raised by life and faith. We have room for different perspectives and different paths. In this church – in this Christian community – you are invited to think what you think, and believe what you believe, and ask the most far-out questions you might have. And though we ourselves are Christians, we affirm that our brothers and sisters of other faith traditions, believing that there are many paths to God, and that no one religion is more correct than another. There is no doctrinal statement that every member of DUMC would agree upon. But, most in this church community can affirm that we are a community centered around belief in God; that we are Christian; and that we are United Methodist. What follows is some ideas to give you just a flavor of the spirituality and faith of this churchy. Humans probably can’t ever quite grasp all there is to know about God. And yet, for those of us who gather in a faith community, God is central. We may use different names for God: Holy Spirit, Father, Sacred Mystery, Lord. Some of us see God more personally, as somebody (though a “somebody” vastly unlike any human somebody). Some of us see God as spirit, in ways that cannot be personalized. And some of us see God as something more like a vast and complex energy. As Christians, Jesus Christ is central to our faith. When we look at the life and ministry and teachings of Jesus; when we look at the death and resurrection of Jesus Christ; we are seeing a picture that reveals deep truths about God’s nature and actions. Over and over, Jesus practiced love and compassion – and instructed his followers to do the same. Jesus taught us to love our neighbor, and then defined neighbor in a radically inclusive way – and then went a step farther to say we should love our enemy. Jesus cared about justice: “The spirit of the Lord is upon me,” he said (quoting scripture), “because he has anointed me to bring good news to the poor. He has sent me to proclaim release to the captives … to let the oppressed go free.” The birth of Jesus, celebrated at Christmas, tells us that God enters in to the concrete reality of our lives, and that God holds a deep concern not only for spiritual matters, but for bodily matters: like hunger and shelter and violence. The resurrection of Jesus tells us that God is a God of new life, and of hope – a God who defies supposed dead-ends. As Christians, we seek to be followers of Jesus. As mentioned above, Methodism allows room for differences of opinion and beliefs. Methodism also affirms four sources for understanding God that we find addressed in the writings of Methodist founder J ohn Wesley: scripture, tradition, reason, and experience. In the language of his day, Wesley said that “all religion is social.” This means two things: one, that religion is meant to be practiced in community; it is not a solitary endeavor (though it may include personal and solitary practices and experiences). And two, that religion in meant to be connected to what is going on in society – what is going on in the world around us. 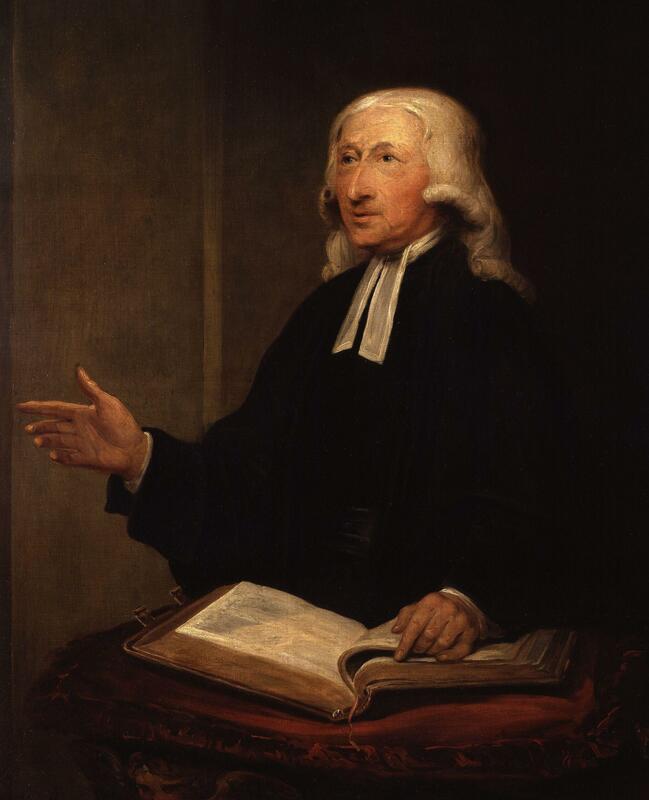 Wesley’s theology was practical – meant to be applied to daily life. Methodists also place a great emphasis on God’s grace – the love of God that is given freely without any regard to merit. Wesley encouraged Methodists to practice the “Means of Grace” – practices that make us more receptive to God’s grace and more likely to recognize God’s grace at work in our lives.